The ANT Blog: The FGASA level one course... from the eyes of an ANT student! The FGASA level one course... from the eyes of an ANT student! Waking up before dusk with the sounds of the African bush still whispering at your ear as a lion roars in the distance and the morning chorus begins to start the day... just another day in the African bush (a saying, that we as Nkombe camp students like to use). We went out on drive as a daily routine, not knowing about the surprise awaiting us on the open savannah. A rare and beautiful sighting of the most gracious, elegant cat in the world and one of Southern Africa's flagship species, a sighting of the cheetah, engraved into our memories forever. 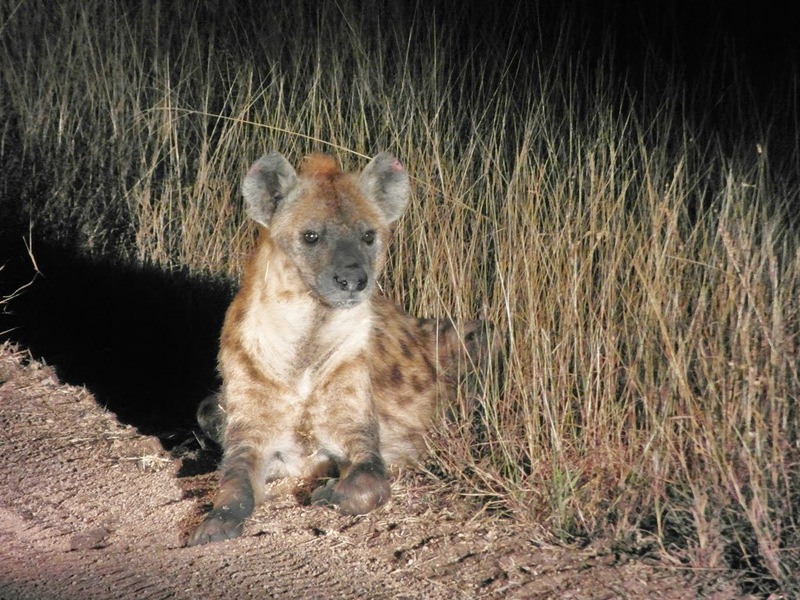 On our way back we could reflect on the previous night where we came across a young Spotted Hyena, peacefully lying next to the road, just listening as his family called far off in the distance. We spent more than twenty minutes observing this animal. You could see how intently he was listening and occasionally lifting his large head and smelling the air for a possible kill that he could scavenge from a leopard or even a lion. Days go by fast now, and the time has come where we all have to prepare for our exams... but practical knowledge still proves to be the best. On foot, encounters of mating lions and the smallest carnivores (dwarf mongoose) turns out to be a great start to our day. We get taught that whilst out in the bush on foot or in a game viewer, patience will get rewarded. We tracked a female leopard for almost two hours but we were unsuccessful and just as all of us thought this lesson of patience is an old wive's tale, we spotted a Lesser Bushbaby. Words cannot explain how we felt. Seeing such a small and beautiful creature in its natural environment we all could honestly say that patience does indeed get rewarded even if it's done in a complete different way than expected. After a good night's sleep we could get up, ready for a day of revision, but as it goes in Africa, plans will almost always get turned upside down. 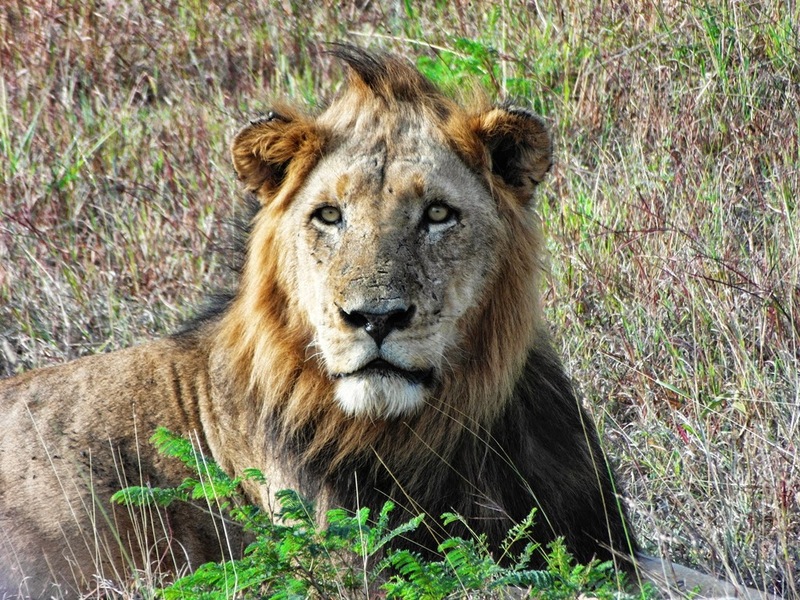 As you want to go and sit with your books as a good ANT student should, you hear a lion's roar close by and we all jumped on the vehicle... with me sitting tracker we drove off in search of our friend and we found him or should I say them! The three Sand River males, just lying out in the sun looking lazy yet majestic. We spent a few minutes with them and then it happened... the one male began to moan like a kitten and in contrast to that he opened his powerful jaw and roared, barely three meters away from my feet. Stunned by third breath-taking sight, we couldn't help but to laugh as the lion finished and looked at us with a face asking "are you happy now?". All in all, meditating around our camp fire on what we learnt through these past six weeks, I can say good night, and thanks for another exhilarating and thrilling day in the African bush where friendships are built under the setting African sun.